Faster page load time: This is one of the major reasons behind the site redesign. The new site loads more than twice as quickly as the old site. New Mission Farewell and Mission Report features: These features are designed to increase the amount of community involvement in the site. Whether your coming from or going to your mission, share your good news and your testimony with us. If you or someone you know has their mission call, you can submit a Missionary Farewell here, or view the mission calls submitted at our Missionary Farewells page. 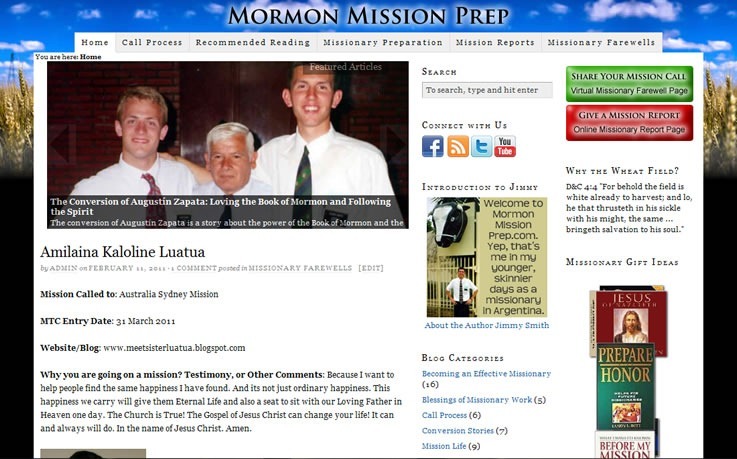 Submit a Mission Report of your own, even if you aren’t a recently returned missionary. Also view the Mission Reports that have been submitted. New look and feel, but not too new. You’ll still recognize the wheat field to remind us all that “the field is white already to harvest” (D&C 4:4). Updated navigation and page structure including breadcrumbs. This should help people get around the site and find what they are looking for faster. 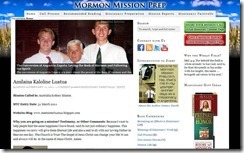 The Mormon Mission Prep Spanish and Portuguese sites have also been updated. The Mission Call and Mission Report features are not yet up and running on those language sites but soon will be. I hope you enjoy the new site. Please let me know how you like the new features. Just reach out to me through the contact page.